Nutrition Information: An idiot’s guide in a single blog post. So starting off really simply, food means any substance or product intended to be or expected to be ingested by humans. However, food does not include feed, live animals unless they are prepared for placing on the market for human consumption, plants prior to harvesting, most medicines cosmetics and tobacco, narcotic or psychotropic substances and residues and contaminants. Nutrition information means information concerning a food and made available to the final consumer by means of a label, other accompanying material, or any other means including modern technology tools or verbal communication. The food nutrition laws are the European Union regulations and directives governing the food information, and in particular labelling. This includes rules of a general nature applicable to all foods in particular circumstances or to certain categories of foods and rules which apply only to specific foods. Nutrition Declaration or Nutrition Labelling is information stating the levels of energy, fat, saturates, carbohydrate, sugars, protein and salt. To find out more information about this, please click here. 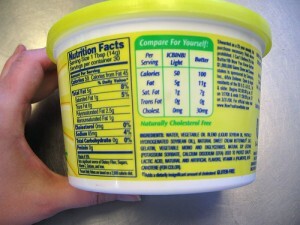 The nutrition information must be conveyed per 100g or per 100ml (for liquid food stuffs). The order of the information is prescribed and must not be deviated from. Additional voluntary nutrients may be included in the listing too but these may only be in the order prescribed in the regulations. Information must be placed on the back of your packaging but may be conveyed on the front of pack too; again under strict guidelines. The reason for this is that the EU has specified food information must be conveyed in the same manner no matter which part of the EU you are buying your food! There is further information on our sister website at Nutridata, a software product developed by Positive ID Labelling. 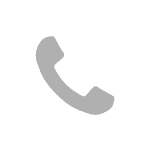 If you want to discuss your nutrition labelling needs, call us on 01332 864895 or fill in the form below and we will contact you.